We all should know that the BAD BRAINS was one of the most explosive and revolutionary bands of all-time, right? Most of us will know that the band’s vocalist, HR, is equally explosive (both on-stage and off), enigmatic and somewhat controversial and confused. This revealing 90 minute documentary, strips back the layers on the legend that is HR and reveals he is just as I described above, and a whole lot more as well. It all starts with the first appearance of HR in something akin to a Muslim shroud, followed by a few sound-bites and then mention of headaches that lead to a stay in hospital. From there it’s the history of HR, and to a lesser extent BAD BRAINS themselves. We find out the Hudson brothers (HR and Earl) were early skaters and got into performing music at an early age. They were also moved around a lot, having stints in Jamaica, Hawaii, California, Alabama, Texas, New York and then DC. He had the option of being a possible Olympic swimmer in New York but became increasingly withdrawn when he got to DC. Onto the BAD BRAINS, they were jamming on jazz, until they crossed paths with DEAD BOYS which was, apparently a huge musical shift. It was during the early days of BAD BRAINS that HR found religion too. Early on there was a big issue with money and soon the side projects of HUMAN RIGHTS and ZION TRAIN saw HR move further into Reggae, with the latter being quite militant. From there, the ‘I Against I’ album is discussed with the possibility of HR playing BOB MARLEY in a film. It was around the time of the ‘Quickness’ album that things started going a bit astray for the man. 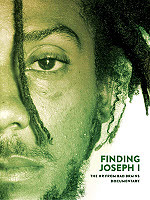 He ended up homeless (although throughout the film, he remains someone of minimal possessions), delusional and getting more heavily into Jah. With the advance for the ‘God Of Love’ album, he brought himself a Limo! It was also during this album where he quotes, "The bible is the best source of information," and a possible diagnosis for his erratic behaviour is first suggest - Psychosis. Psychosis is amplified when it gets onto his invisible friends, hallucinating on the Lollapoloza tour where he is seen rambling around in a luminous green jumpsuit and long blond wig. Thankfully, he meets a lady who is now his wife and she appears to be getting his life back into focus via meditation. Lots of notables are featured including Ian MacKaye, Duff, Skeetar, John Joseph, Mark Anderson and members of Living Colour, Sublime, Fishbone and MURPHYS LAW. It’s actually Ian MacKaye that has one of the best lines in the whole documentary when, after much discussion about HR’s mental and physical status he states that HR is, "still free." It’s a short statement, but one that fittingly sums up a lot of speculation. And speculation runs riot here. Ranging from suggestions of schizophrenia, a chemical imbalance, that HR is a shaman, genuinely crazy, a spiritual leader who is still developing and even that it’s all an act. Of course, then there are drugs and the influence of Rastafarianism. While director James Lathos has put together an in-depth and informative documentary, it disappoints in that it alludes only to the man’s greatness as a frontman (which is beyond doubt) and psychological issues. It would have been more balanced had HR faced questions about his homophobia (ie - the Randy Biscuit Turner episode), questionable attitude toward women and those of other religions (remember the quote about, "fighting the real enemy: the Jew"?). Unfortunately though, no extras.